Batch resizing is correct. It took a little time because it was different from the original bearing and the part number of the catalog. This review is about item#34609705. 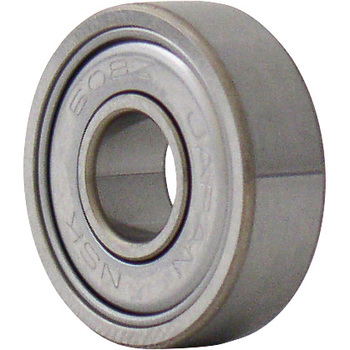 It is most widely used in bearings It is Good. This review is about item#34609696. This review is about item#38399995. It is enough function in COSPA manner. I will purchase again if I have the chance. I thought that the repair was to the manufacturer but it was the same thing when checking the size so it can be used without purchase problem It was greatly appreciated. The product photo is made in NSK in Japan, but the thing actually sent is similar to the handheld NSK with no marking at all, but it seems that the shape is slightly different. As the type of grease seems to be different, the difference in play is also unknown. Because detachment is troublesome and the quality of the bearing makes quite a difference in the replacement cycle, I want the manufacturer's notation and manufacturer properly.